This week we're happy to be joined by Steve Judd, a great guy and a big fan who picked an absolutely epic show, the second night of the Island Tour, 4.3.98, from Uniondale, NY. The setlist is at the bottom of the page, and the chapter markers are below. In our discussion with Steve, we talked about how historic this run was. Every year, tons of fans celebrate the anniversary by listening to all 4 shows. Steve's opinion is that this is probably the best 4-show run from Phish, ever. Brad and I couldn't disagree. Also, all 3 of us were there, which made revisiting it all the more special. In April 1998, Brad and I were college freshmen, and we decided that driving to Long Island and Rhode Island to see Phish for 4 days was far more interesting and important than going to 4 days of college classes. The decision still seems like the right one. It was a formative experience for us as friends and as fans, and a seminal moment in the band's history. It was another peak for them, as Steve said in this episode. The interesting thing about this run, musically, is that we're really right between the serious funk of 1997 and the ambience and exploration of 1998—which lead to the "millennial sound" of 1999-2000. The "Roses Are Free" is probably one of the most referenced, listened to and revered jams in Phish history, not to mention the "Piper" it melts into. We all agree that it still stacks up, 15+ years later. The first set "Reba" was especially blissful, reflecting the joy we were all feeling that night. And the band was having fun. Trey said that they decided to do the shows because they were "bored." It was a time of celebration, and this show was not without Phish hijinks. At the beginning of "Antelope," someone jumped on stage. He was pretty quickly taken down by Pete Carini, but then, in typical Phish fashion, instead of them berating the guy, throwing a rock star-esque fit, or anything else, they made it part of the show and part of the experience. "Don't let Carini get you" became part of the banter at the beginning of "Antelope," with Fishman interjecting "don't attack the drummer." An incredibly intense "Antelope" closed the set, and they appropriately encored with "Carini" in a great 3-song combo with "Halley's" and a "Tweezer"-less "Tweezer Reprise." Fun. Nonsense. Intensity. 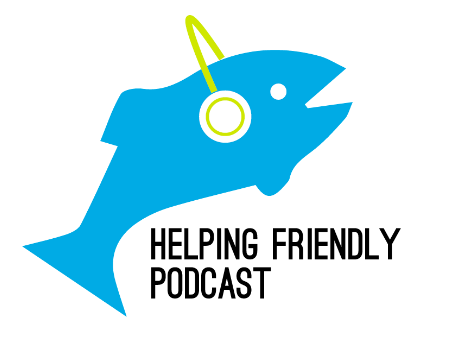 Please review us on iTunes, and send comments and feedback to helpingfriendlypodcast at gmail dot com, and follow us on Twitter @hfpod. And please check out CashorTrade.org for face value tickets to shows across the country.